I've got an EZED ACR to XCR stock adapter and a Robinson Armament M4 side folding adapter with VLTOR tube (storage style) that I would like to offer up for sale. The EZED adapter appears to have not been mounted to a rifle. There was a stock attached and removed to it so there is evidence that the roll pin was pressed in and then out. The RA M4 adapter is in good shape and locks up tight. There is some wear on the sling loop and normal wear on the buffer tube from adjusting the stock. Last edited by Madriverarms; 12-09-2018 at 09:50 PM. Still got them for sale. Both still available with lowered the prices. Shipping inside the US only. Been looking for this. I'll take them both, pm inbound. 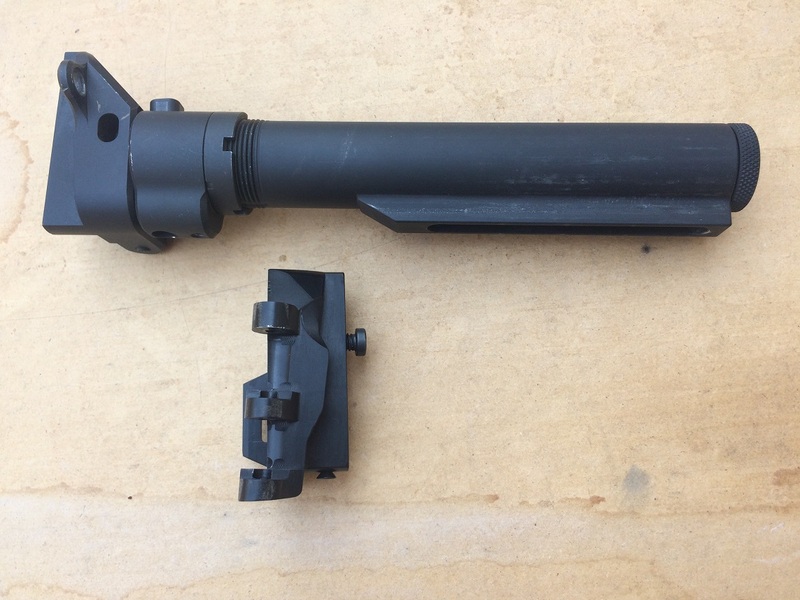 WTT: VLTOR Stock with XCR M4 Adapter for Flip up Iron sights !!SOLD! !